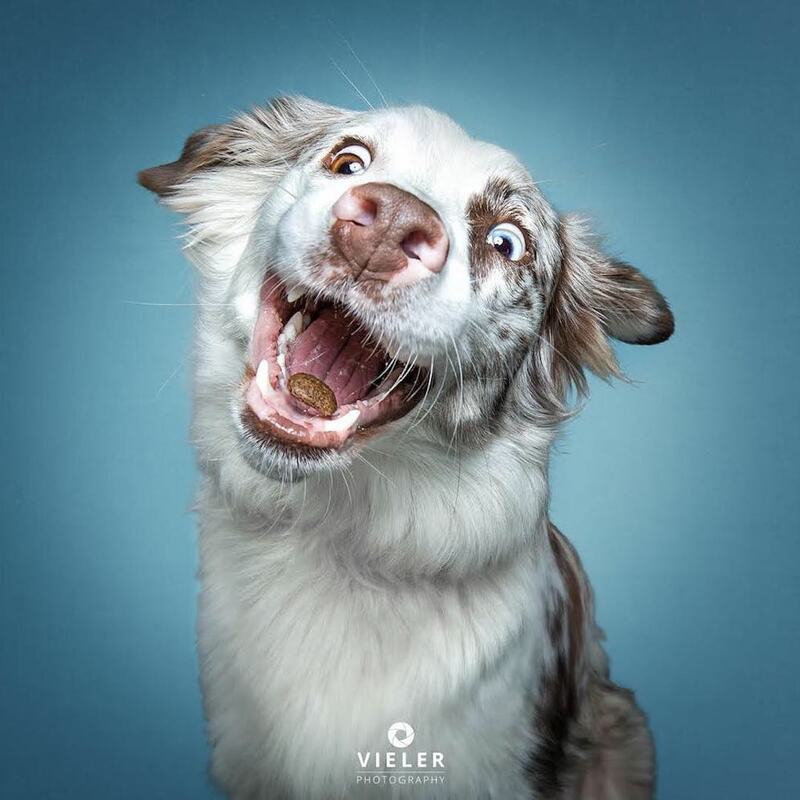 Photographer Christian Vieler captures canines’ moments of bliss, frozen in time. 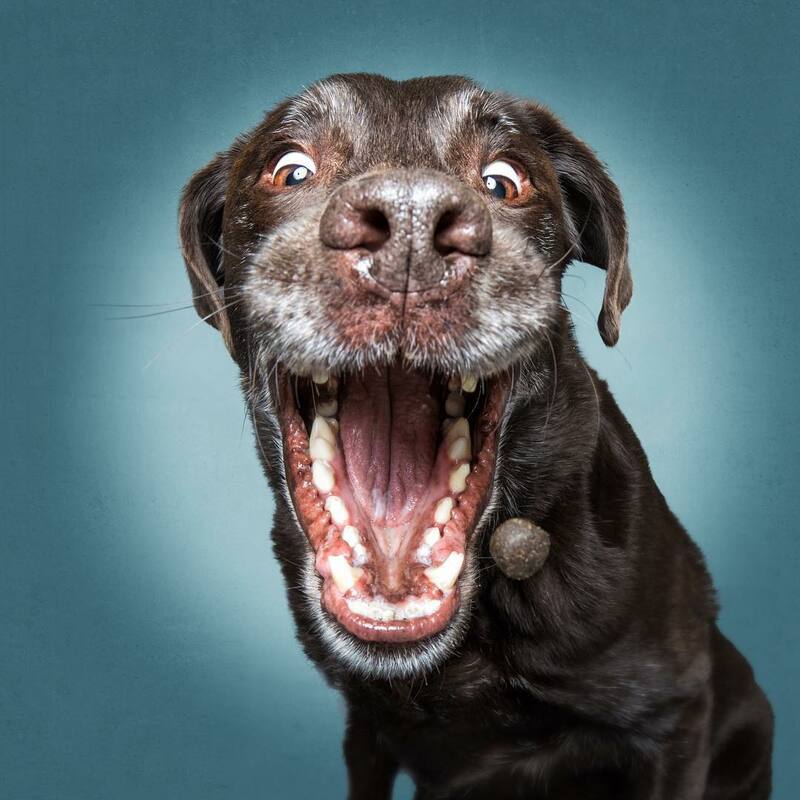 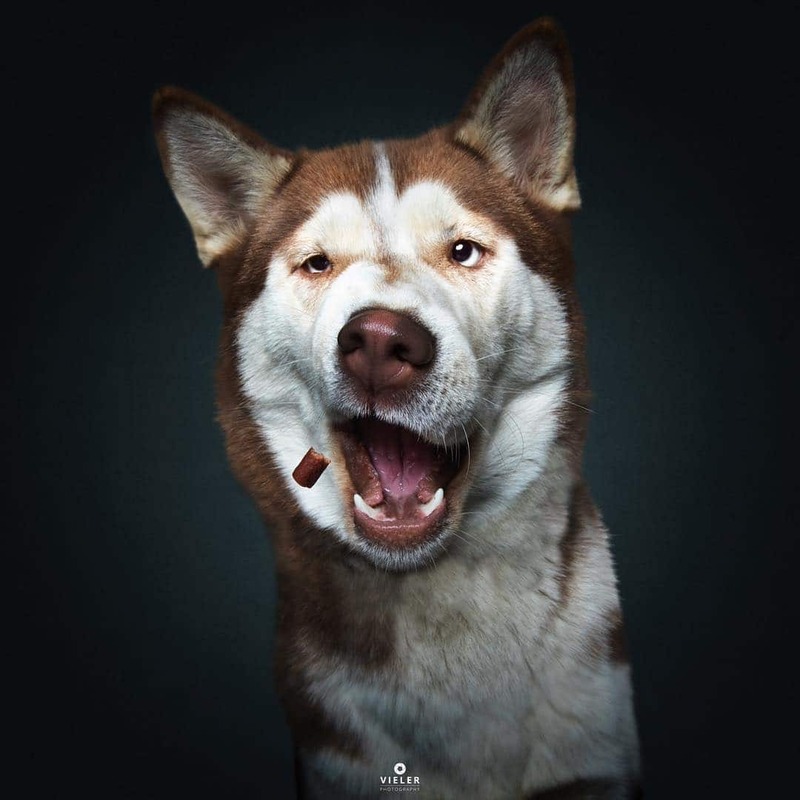 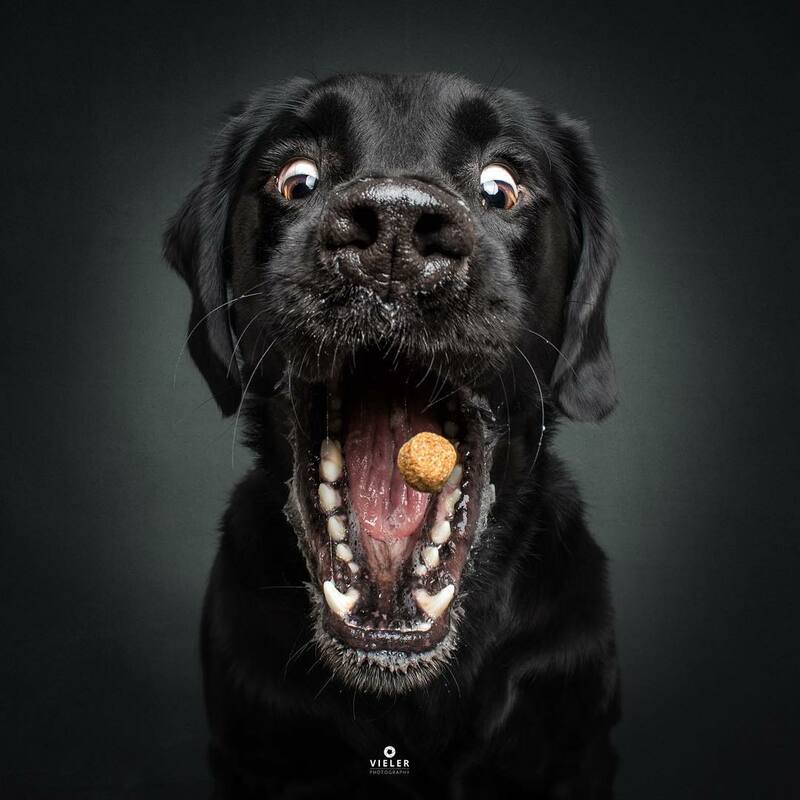 For years, he’s snapped portraits of pooches as they attempt to catch tasty treats in their mouths. 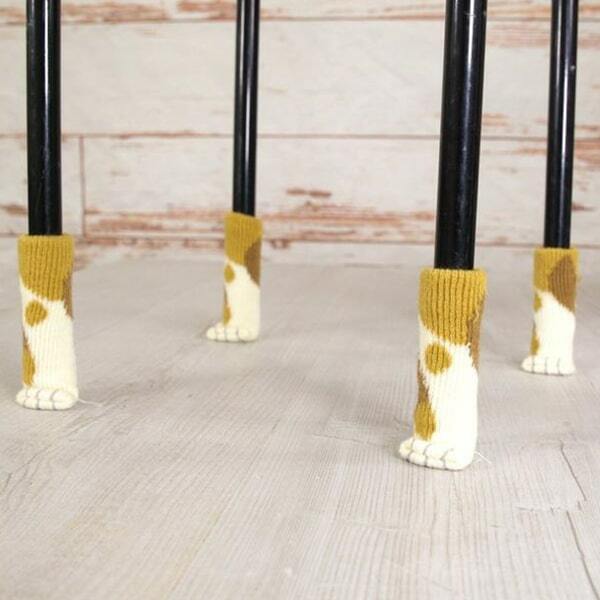 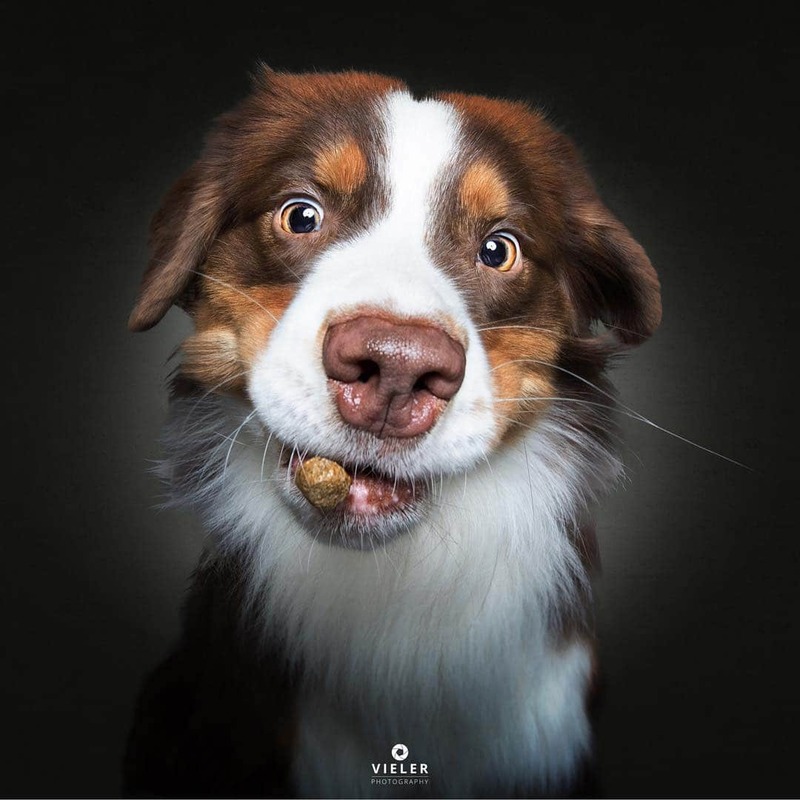 The charming images are a humorous depiction of dogs as they track the morsels and bare their teeth in anticipation of the delicious snack. 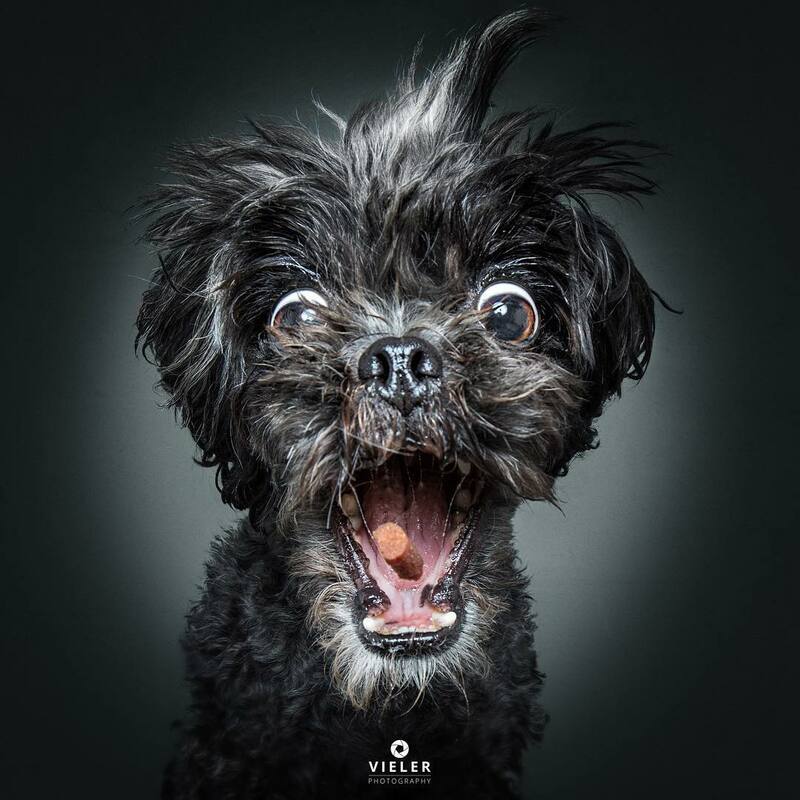 Although it feels like we’re watching the events unfold in slow motion, these micro expressions happen in just a split second. 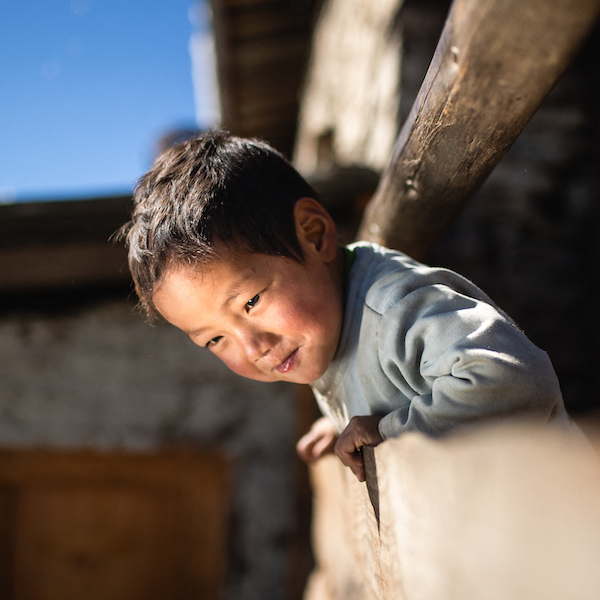 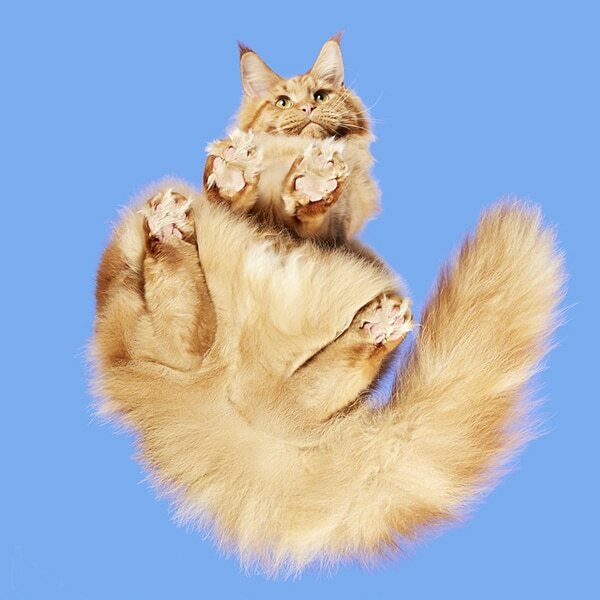 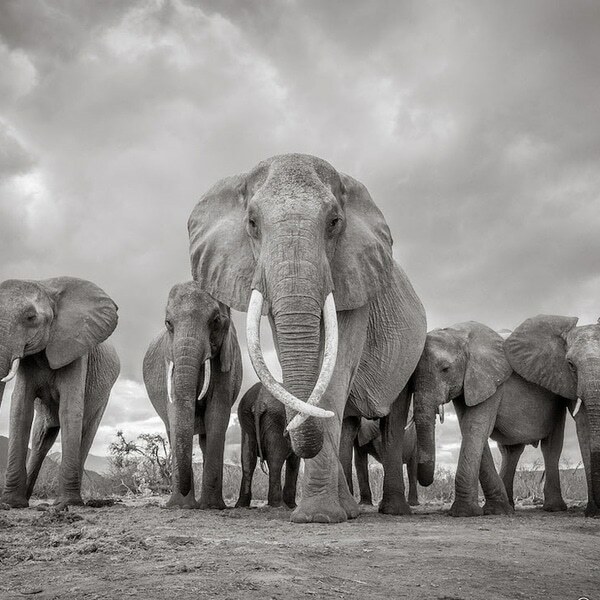 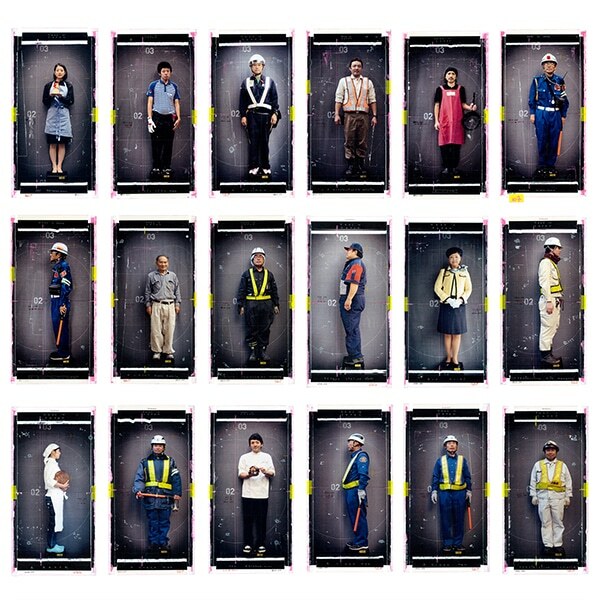 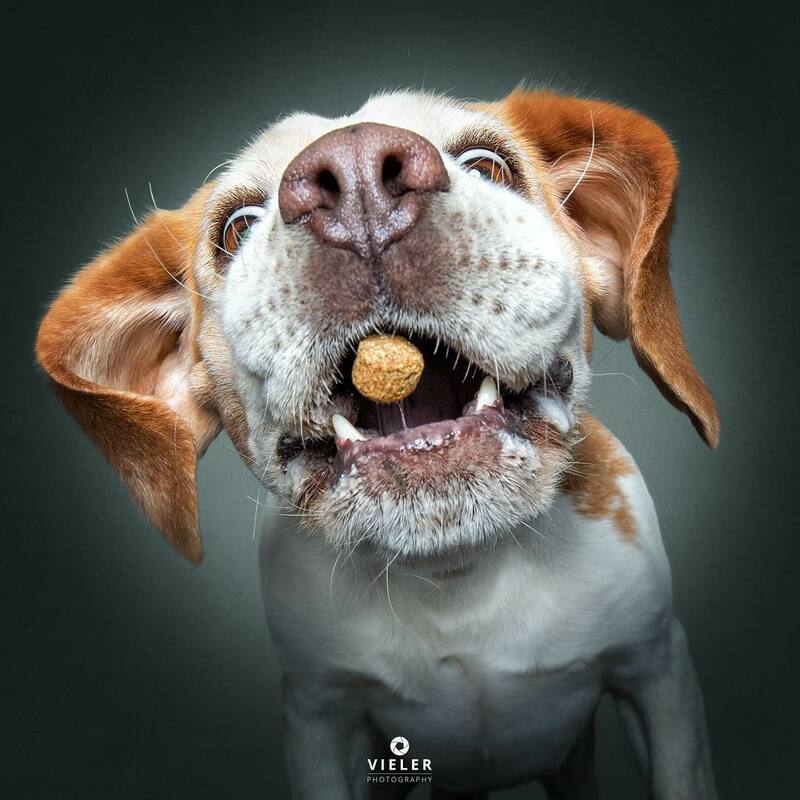 Vieler’s photos have been made into a book called Treat! 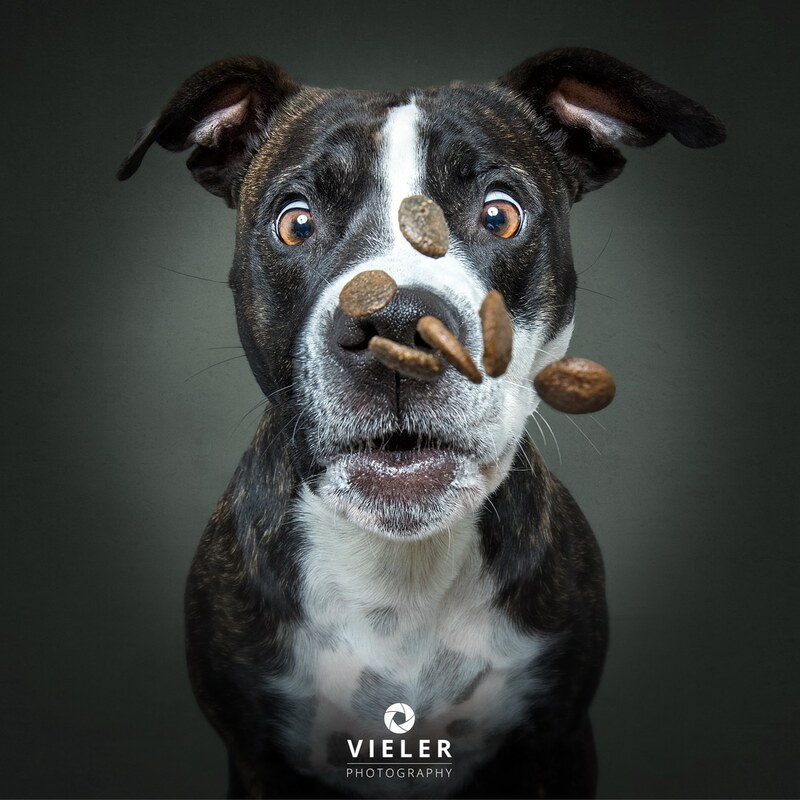 as well as a 2019 wall calendar of the same name. 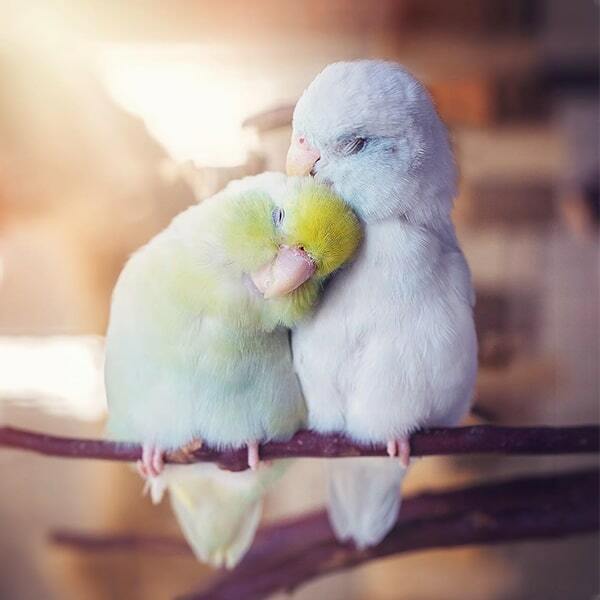 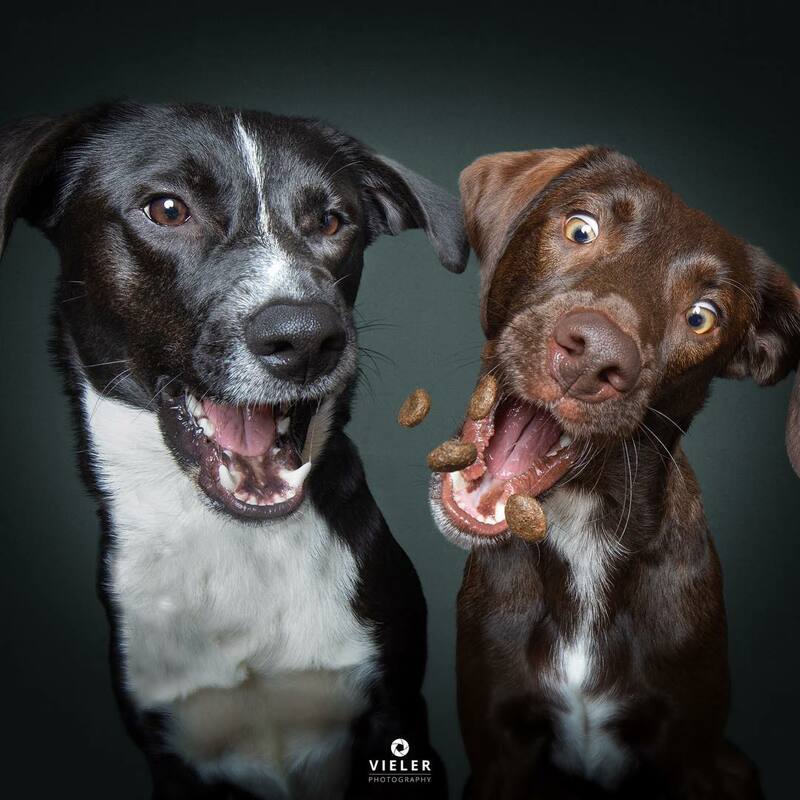 They’re both available on Amazon. 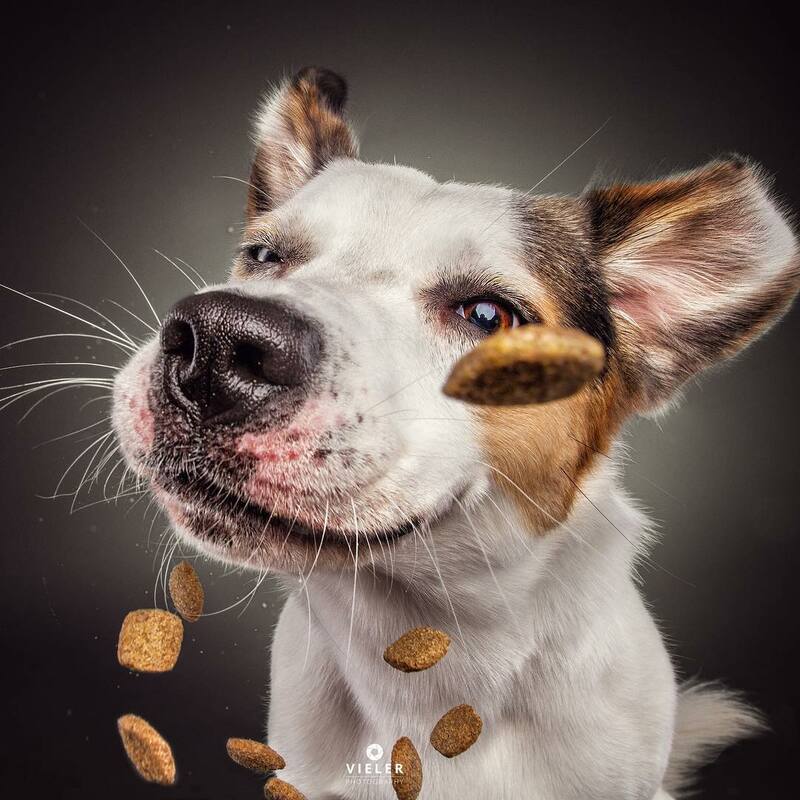 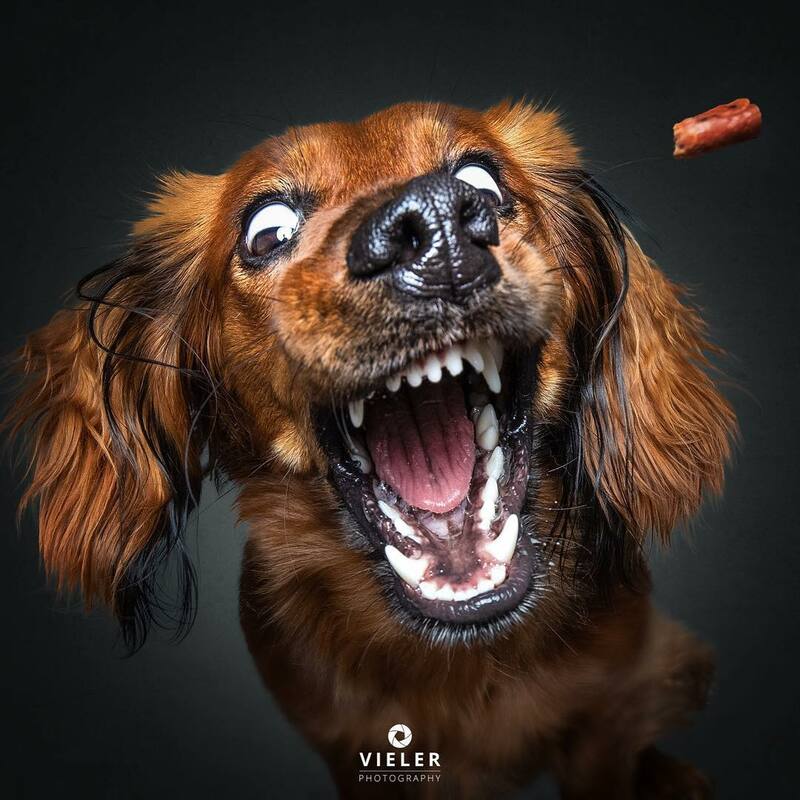 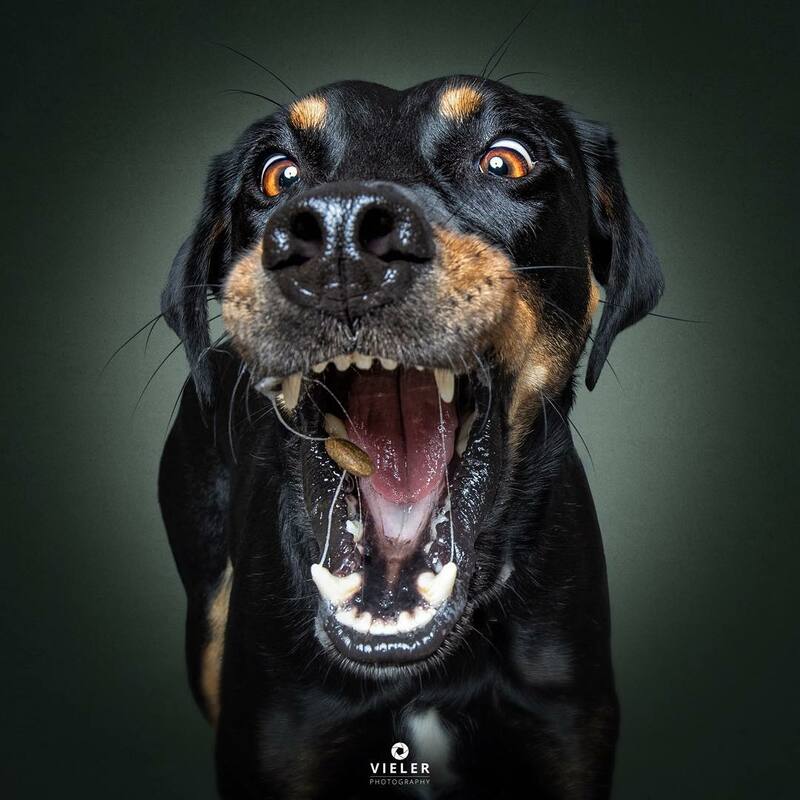 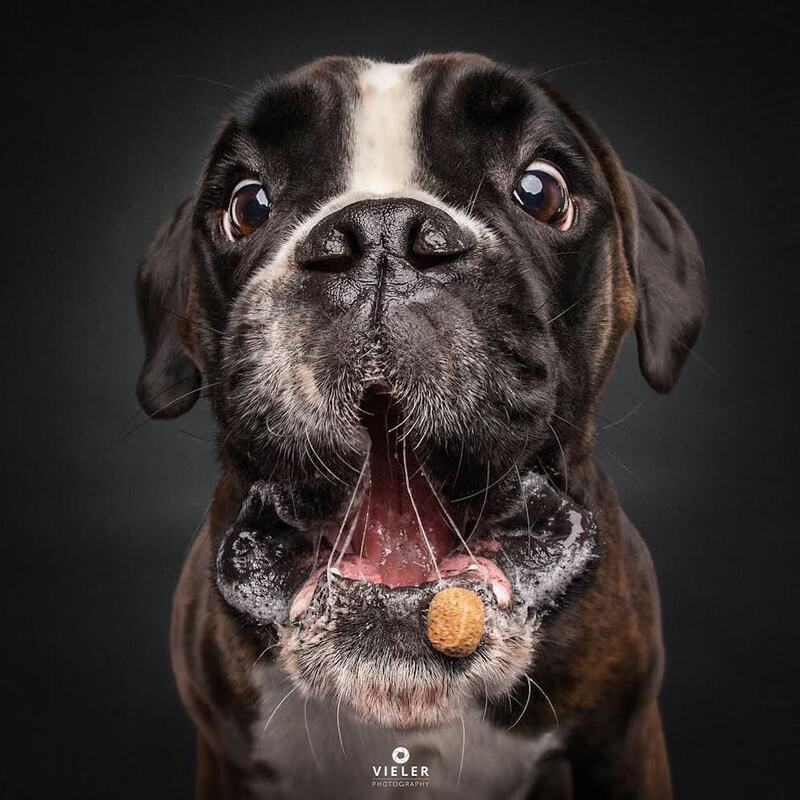 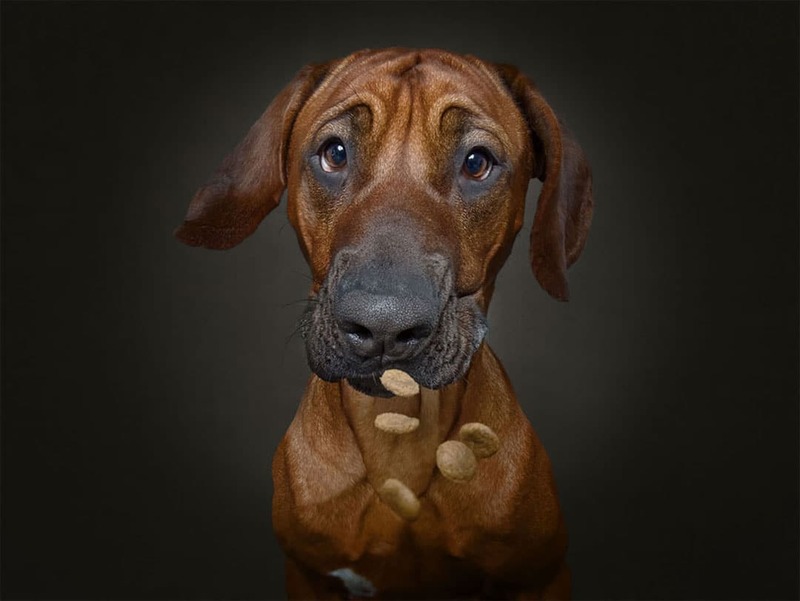 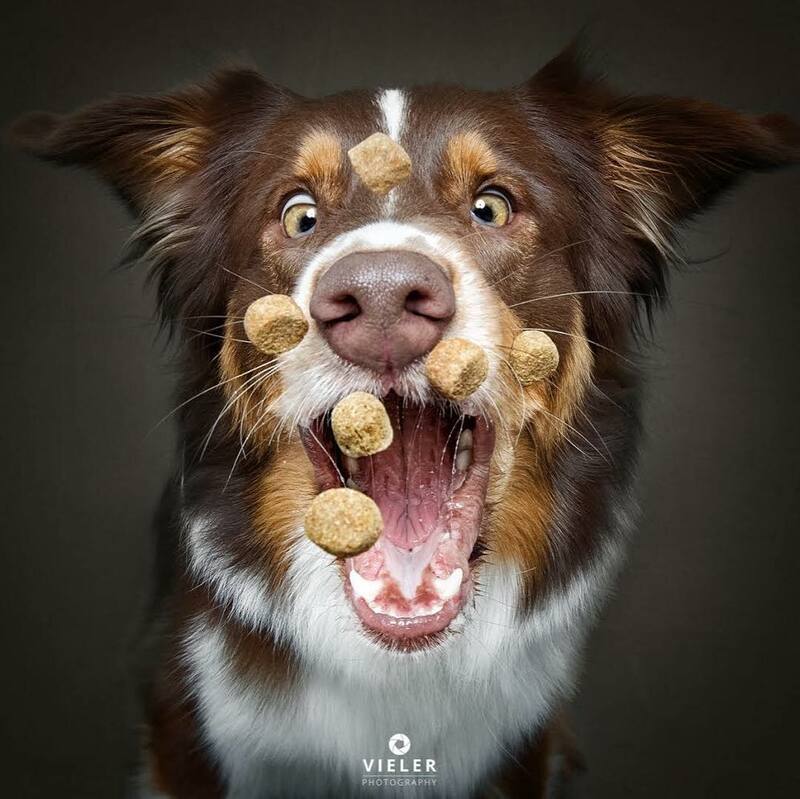 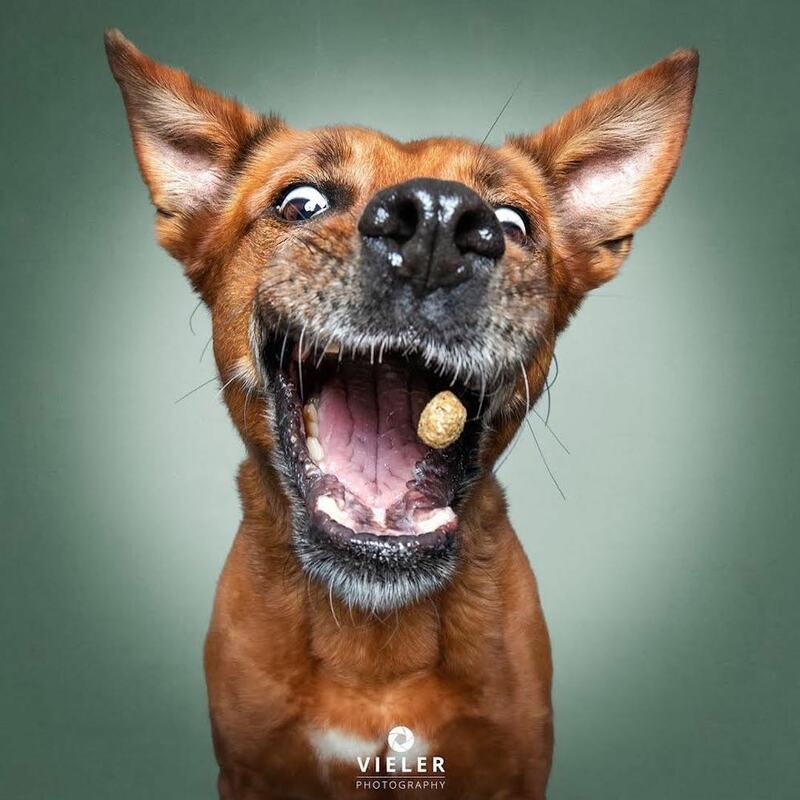 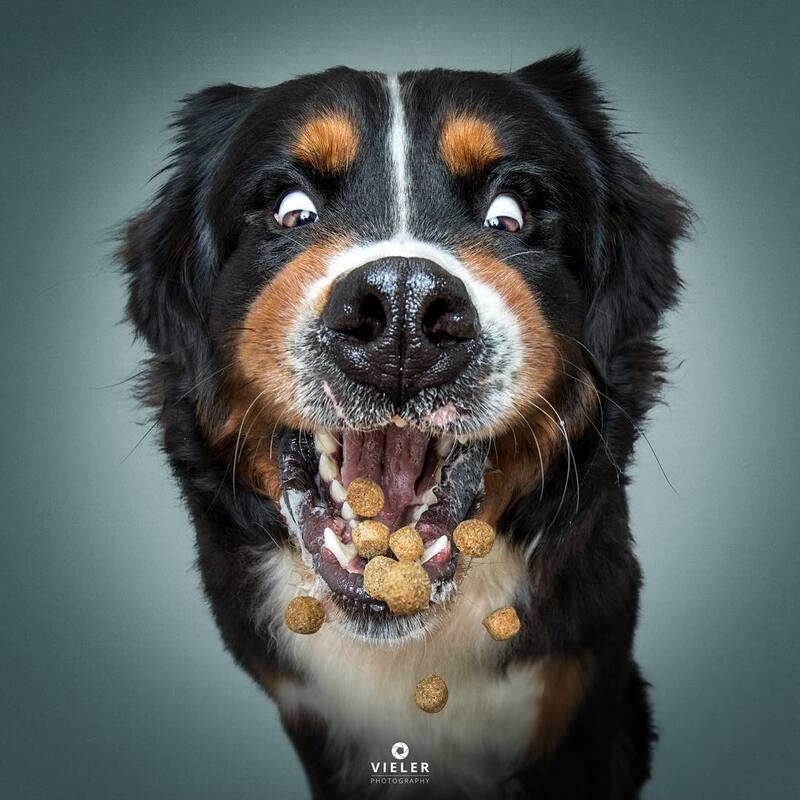 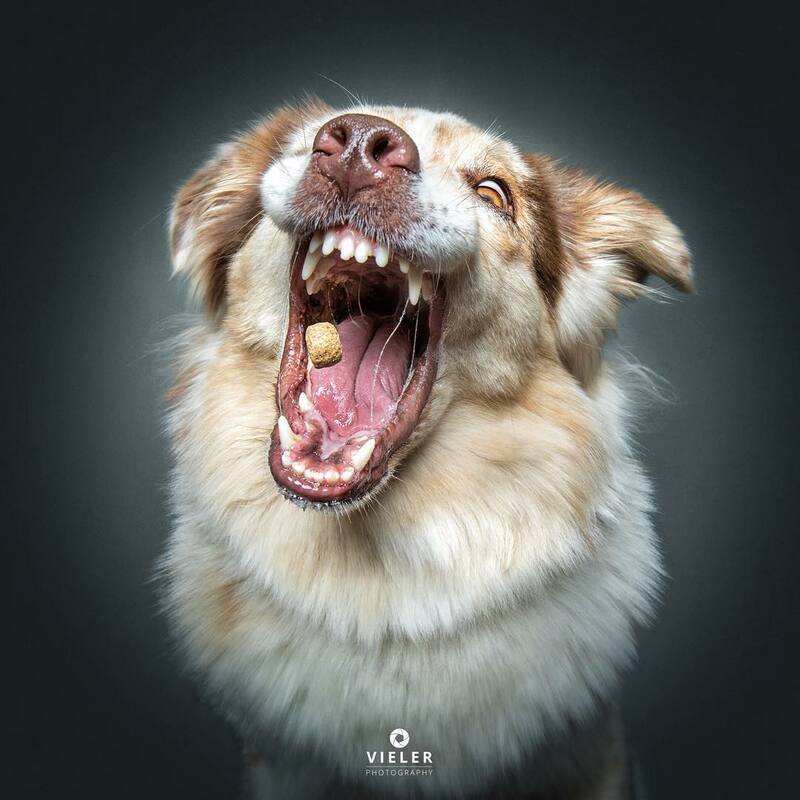 Photographer Christian Vieler captures humorous moments of dogs catching treats in their mouths. 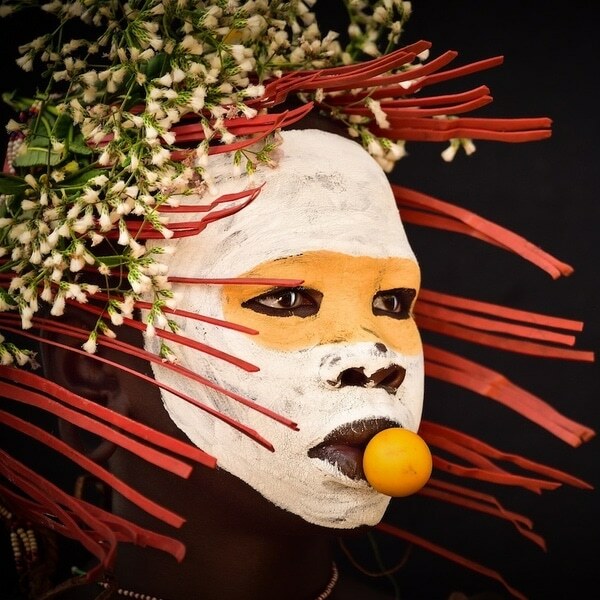 My Modern Met granted permission to use photos by Christian Vieler.